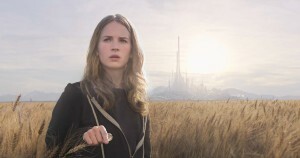 Tomorrowland opens with George Clooney’s Frank Walker, attempting to record what appears to be a video journal, but off-camera he is constantly interrupted by Britt Robertson’s Casey Newton, a self-proclaimed voice of optimism. 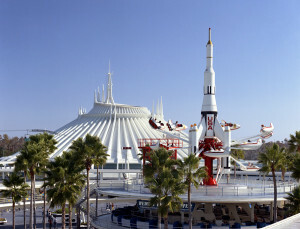 Through the false starts and interruptions, we discover that Frank—as a young boy—made an impression at the 1964 World’s Fair on a young prodigy, Athena, who recruited him to become part of an exclusive think tank known simply as Tomorrowland. Fast forward decades later and we dive into Casey’s story, a story of frustration that NASA is no longer reaching for the stars, where world politics and environmental changes are painting a bleak picture of what is to come, and her question of “What can we do to fix it?” remains unanswered. Still, Casey refuses to give up, and it is her unbreakable spirit that catches someone’s attention: a young prodigy named Athena. Never did any of these instances feel forced or contrived. 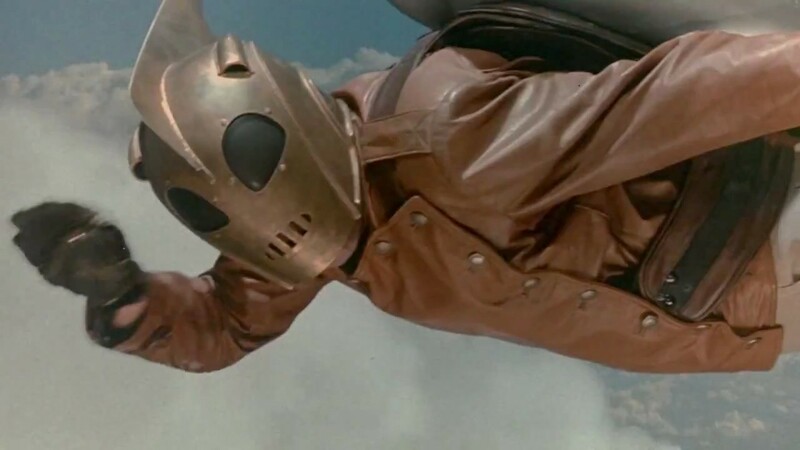 In fact, Tomorrowland brilliantly reveals how steampunk eventually evolves into atompunk. The science fiction writer in me just relished that. Tomorrowland refuses to sugar-coat its sometimes-inconvenient messages without mercilessly beating you over the head with it. Amid some of the hiccups in the plot, this is not only refreshing, but welcomed. What I can say won me over completely with Tomorrowland was its wide-eyed sense of wonder. This movie was far from the epic awesome of Avengers: Age of Ultron and nowhere near the overwhelming insanity of Mad Max: Fury Road, but that doesn’t mean that Tomorrowland was not a wonderful experience. How can I describe what I was feeling at the end of it? The last time I felt this good, it was after seeing another Disney movie for the first time. I found myself caught by surprise at the end of the film when I felt a tightness in my throat and tears in my eyes. I wondered for a moment, Athena’s words of “Dreamers need to stick together…” echoing in my mind, how long it had been since I felt this way? In growing older, in becoming a parent, had I forgotten to dream? Had I lost a bit of that curious, creative spirit I knew when I was younger? Then I remembered something: I write steampunk. I had released a book with my beautiful wife, Pip, this past March; and only a few weeks ago, she picked up an award for the previous book in our series. We’re currently writing another steampunk adventure while brainstorming others. Because dreamers need to stick together. Tomorrowland made me feel like I was visiting Walt Disney World for the first time, crossing the threshold to a world where nothing was impossible. It is a movie for the dreamers, for the optimists who look at each day as an opportunity to reach for the future, for those who refuse to give up. Perhaps it is flawed in places, but it makes up for shortcomings in its heart. It also assures the dreamers that giving up is not an option. It never was to begin with. Me too, Bear. Me too. It’s the jetpacks, isn’t it? They get me every time. Tim McGee on the show NCIS would love Tomorrowland. 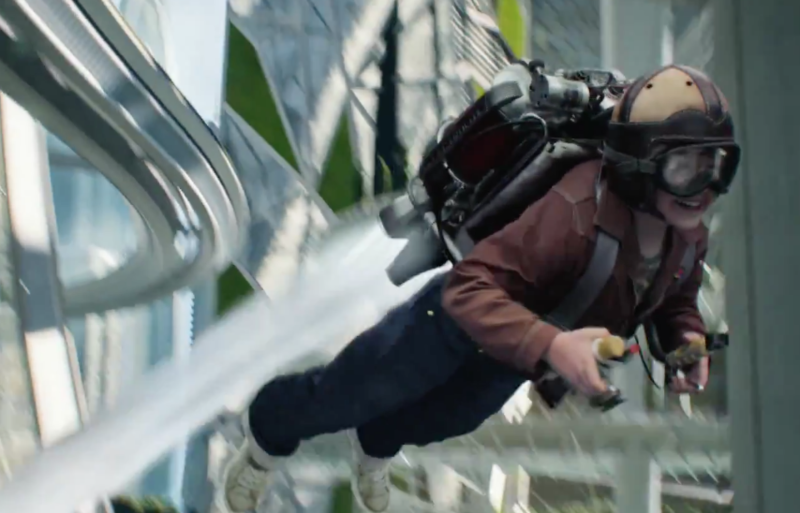 Because jetpacks! 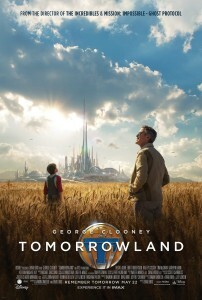 I loved, loved, loved Tomorrowland too, and felt the much the same way you did at the end. 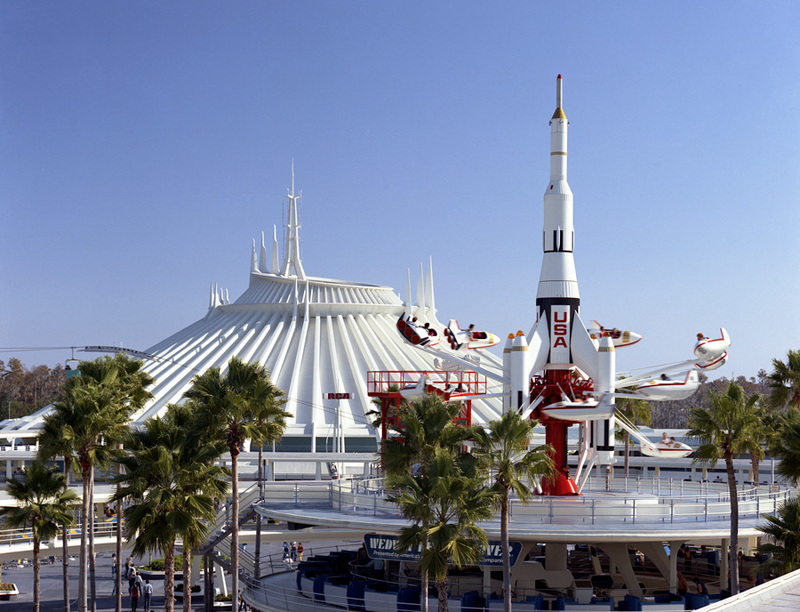 SO flashing back to my childhood and discovering SF and reading and science and….yeah. Awesome. I’ve been seeing a lot of bad review of the movie online (IMDB etc). And a spattering of “Did you folks giving the bad reviews even watch the same movie I did” reviews in among them. I’m agree with the latter. What has happened to moviegoers? I haven’t met your daughter, but I can tell from her reaction to Tomorrowland that you posted that she is awsome too. Though I already knew that from your other posts about her in the past. You guys raised her right! We dreamers DO need to stick together!